Connect to the gentle beauty and cultural traditions of the Baa Atoll UNESCO Biosphere at Four Seasons Resort Landaa Giraaavru - an unspoiled wilderness in the midst of the Maldives richest waters. Snorkel with the world's largest population of manta rays alongside the team working tirelessly to protect them. Let the Landaa Spa angels introduce you to the life-changing 'science' of Ayurveda. Maldives to the max with kite-surfing, sandbank BBQs, Anti-Gravity Yoga, Sea Turtle Rehabilitation and more. An exotic hideaway on the island of Kuda Hurra. An unspoiled island retreat at Landaa Giraavaru. A luxury, liveaboard three-deck catamaran to explore the pristine blue waters. Three sister properties in the Maldives all fully linked by impeccable and seamless Four Seasons service mean you can take the ultimate customized trip to a tropical paradise. Located in the Baa Atoll a natural wilderness that is the Maldives' only UNESCO World Biosphere Reserve Landaa Giraavaru is an enchanting retreat just a 30 minute seaplane ride from Male. Landaa Giraavaru's vast natural wilderness incorporates 103 thatched bungalows and villas of contemporary Maldivian design. Hidden behind traditional turquoise gates, all land-based accommodations have their own beach access, pool and lush genuinely private gardens. Beach Villas and Family Beach Villas also have a 12-metre lap pool, sand-floor living area with sofas and toes-in-the-sand dining, and sea-gazing loft. Perched on stilts over the tranquil lagoon, the Water Villas - some with pools - offer panoramic Indian Ocean views through floor to ceiling windows, spacious sundecks, outdoor showers, and nets for over-water lazing. Land & Ocean Villas link land-based living quarters and over-water bedrooms across a vast pool deck, while the uber-luxe Three-bedroom Landaa Estate has its own 80-metre beach and 2,000 square feet of al fresco living space. Majaa Maizan, our young adults' centre, welcomes guests between the ages of 13 and 18. It's the perfect place to hang out and meet new friends or catch up with old ones. Enjoy a game of pool, table tennis or table football. Watch a movie on the plasma-screen television, use the PlayStation or access the Internet. Or enjoy beach and water sports. The pinnacle of personal submarine innovation: the world's first 3-person DeepFlight submarine - the Super Falcon 3S - is now available for dive excursions at Landaa Giraavaru. The Kuda Velaa ("little turtle") Club keeps our youngest guests entertained during their stay, with exciting games, cultural craft-making, educational activities and beach fun. The club is open to children from the ages of 4 to 12, who are all supervised by our our Kids' Coordinator. Children aged three or under are welcome when accompanied by an adult guardian. Landaa Giraavaru boasts plenty of family-friendly appeal - from Family Beach Bungalows and Villas to pioneering kids activities, lagoon diving courses, interactive conservation opportunities and thoughtful amenities. 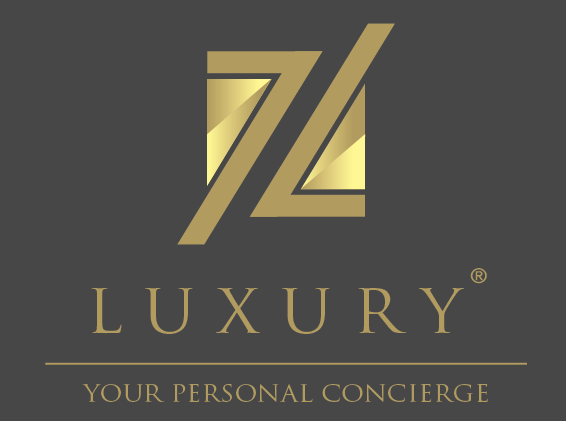 Contact our Concierge for individually tailored recommendations for your family. Getting fit has never been so scenic! Our pristine beaches make for excellent resistance jogging - then let our instructors guide you through exercises to get you on the move and feeling great. Hop aboard our traditional wooden dhoni and cruise into the sunset for a spot of hand-line fishing. With any luck you'll catch dinner - and maybe even spot a pod of playful dolphins! Who said the Maldives was all about doing nothing? At Landaa Giraavaru, we're on hand to help make your vacation as active and adventurous as your tolerance allows! From kiteboarding, JetBlading, wakesurfing and parasailing to scuba diving, dolphin cruises and remote island excursions, contact our Recreation team for a customized programme of thrilling activities! WITH A WIDE RANGE OF ADRENALIN-FUELLED ACTIVITIES, THE ONLY PROBLEM YOU'LL HAVE IS FINDING ENOUGH HOURS IN THE DAY. It's our aquatic mission to offer the most exciting and far-reaching choice of water sports possible. With windsurfing, wakesurfing, waterskiing, kiteboarding, parasailing, stand up paddle boarding, jet skiing, X-Jetpacks, JetBlades, kneeboarding, funtubes and Seabobs (underwater scooters), choose your preferred wave-rider and hit the spray Landaa-style. Named after Abu Al Barakat Yusuf Al Barbari, a North African scholar who made Baa Atoll his home in the 12th century, Al Barakat showcases the regional specialties of Lebanon, Morocco and Armenia. The restaurant is built overwater, off the main jetty. A shisha bar is located on the lower level. The main rooftop dining area features comfortable seating spanning indoor and outdoor areas. In-Villa Dining at Four Seasons is a fine-dining experience within the comfort and convenience of your bungalow, villa or suite. Choose from an extensive menu throughout the day, featuring western and Asian favourites. Want something hearty for dinner after an adventure-packed day? Savour our fresh catch of the day as well as a wide selection of organic and prime-cut meats, salads, sandwiches and Asian dishes with your toes in the sand at our casual, beachfront grill. Perched over the lagoon by the main jetty, Al Barakat's Shisha Bar is open to the sea, with curtained sofas and ornate lanterns - an atmospheric setting for pre-dinner drinks or Turkish coffee and shisha pipes. Take the short seawalk to one of the most relaxed decks in the Maldives. At Seabar, you'll laze on comfortable cushions as you sip our signature frozen margaritas and snack on tapas-style share plates and light bites - all while admiring the lemon sharks and reef fish in the turquoise waters below. Named "Best Holistic Hideaway" by the Condé Nast Traveller Spa Guide 2016 and "Best Innovative Spa Concept" in the Gala Spa Awards 2016, The Spa & Ayurvedic Retreat merges medically accredited therapies with ancient holistic sciences in a 1.2-hectare (3-acre) setting that stretches from the heart of the island to the middle of the lagoon.